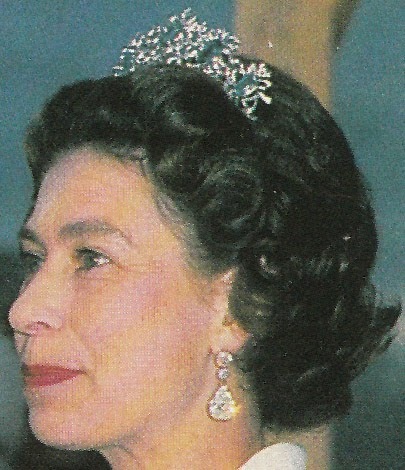 Is this tiara part of Queen Elizabeth II's Brazilian Aquamarine Parure? 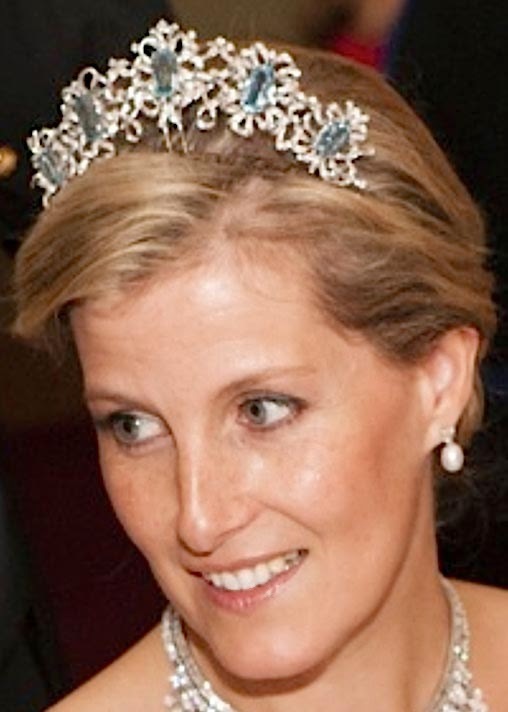 This tiara is very pretty, but it cries out for some kind of base. I am quite sure the vaults have lots of unused diamonds, and a diamond riviere base would make this tiara look so much better.